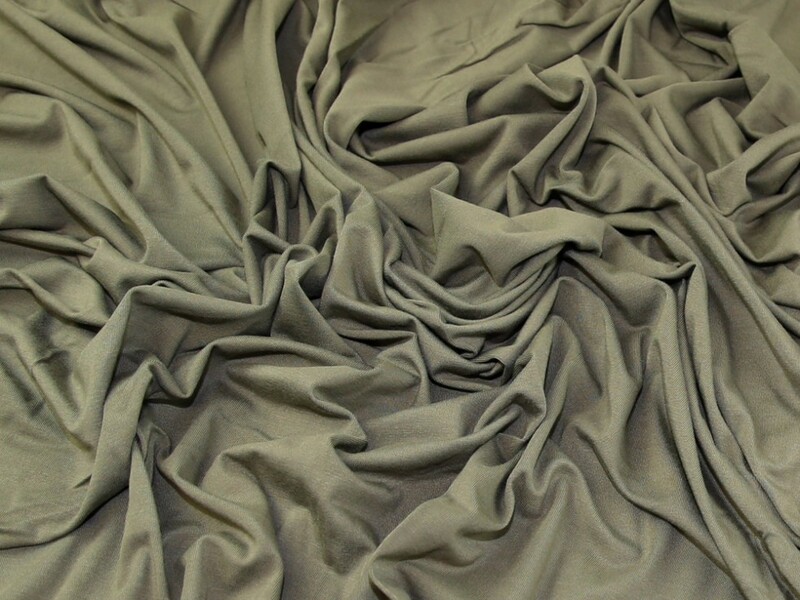 This gorgeous stretch jersey knit dressmaking fabric comes in a range of plain solid colours. This is a medium weight fabric and is very soft, slinky and drapey. Ideal for making tops, skirts and dresses. As part of our clearance range we are able to bring it to you at a much cheaper price than the RRP (was £7.99 per metre), but only whilst stocks last! Have paid a lot more in the past elsewhere for a fabric just the same as this. It's very nice and soft, just what I was looking for! used the beige marl. fab quality, made a drapey cardigan. Have bought more in the black, pity other colours are out of stock. I have just received my order of this and it's gorgeous , I have enough to make 2 skirts out of just 1 metre, I will be ordering more later in different colours . The colour is just what I wanted as well . Super jersey and the price is great, I have used 3 colours so far and made two wrap tops and one nightie. Already bought 4 lots of this in different colours, just added another 3! Its fabulous. Makes up a dream, drapes well, is just absolutely gorgeous. I'm making long sleeved tee-shirts with this, but it would be equally as good for dresses as well. Just hope they get some more. Very nice quality jersey, soft and silky like viscose should be. Great colour range too. I bought 4 colours all of which are very nice, have sewn up 2 of them so far and they have sewn up a dream.